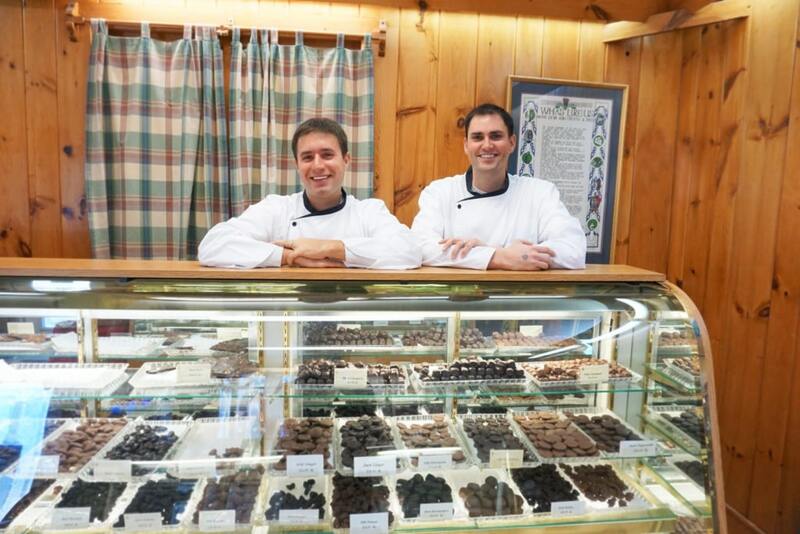 Steve and Trent Kinney, the new owners of Catherine's Chocolates in Great Barrington. Great Barrington — The iconic Catherine’s Chocolates was sold Friday, April 12, to Steven and Trent Kinney of Lenox. The couple recently returned to the Berkshires, one having completed his military service. Both men were captains in the 10th Mountain Division of the U.S. Army, piloting Apache helicopters and leading teams of up to 80 soldiers. Catherine’s Chocolate owner Kathy Sinico is retiring after over 40 years of hand crafting chocolates from the same location on Route 7. Sinico has been working with the Kinneys to pass on her legacy. “I am confident that Steve and Trent will continue classic Catherine’s quality offerings,” she stated. Fairfield, Conn. — GoodWorks Entertainment Group has announced its acquisition of Infinity Music Hall & Bistro in Norfolk and Hartford. Soon to be re-branded GoodWorks Infinity, the new ownership aims to build on Infinity Hall’s successes of the past decade. “I could not be happier that the special music venues we have built will be managed by a growing Connecticut-based entertainment company with a long track-record of success that is also socially conscious and community-minded,” said Infinity Music Hall & Bistro founder Dan Hincks. “Our business model is based on community building and giving back,” said GoodWorks co-founder David Rosenfeld. “We will be partnering with the community to enhance cultural growth by hosting an ongoing series of events called ‘Concerts for Good’ to benefit local charities.” In 2018, 10 Concerts for Good events raised more than $60,000 for charities in Fairfield County. 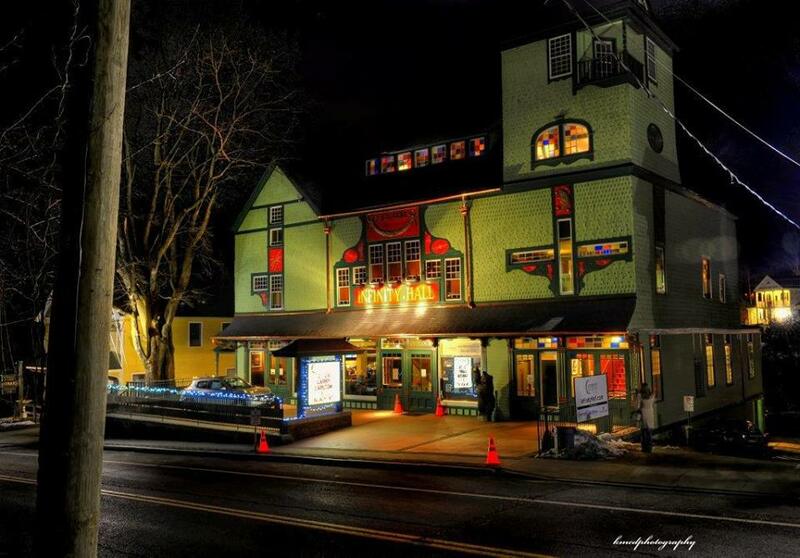 GoodWorks Entertainment has been the exclusive talent buyer for Fairfield Theatre Company for more than a decade, and is also a promoter and talent buyer for 10 regional venues. Sheffield — The Eagle Fund, in partnership with its sister endowment, Janet’s Fund, recently awarded more than $54,000 in grants to programs benefiting students in the Southern Berkshire Regional School District. Both funds are under the aegis of Berkshire Taconic Community Foundation. 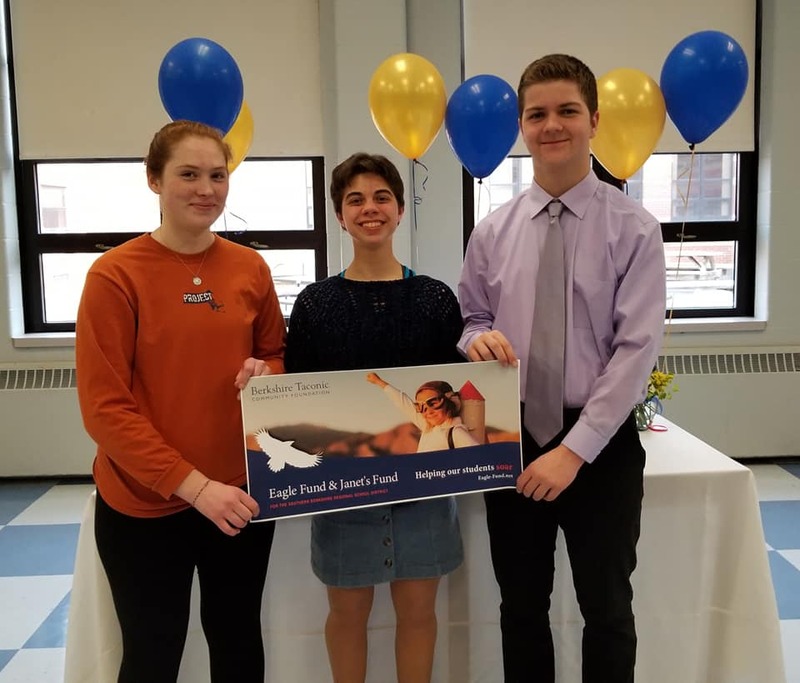 Founded in 1998, the Eagle Fund raises money via a phoneathon conducted in the fall by members of the school’s chapter of Students Against Destructive Decisions. Pledges and additional donations come from residents and businesses in the five towns that make up SBRSD. Donations are added to the fund’s endowment. As an endowed fund, the organization can serve as an ongoing source of enrichment funding by creating opportunities beyond what can be funded through the school district’s budget. 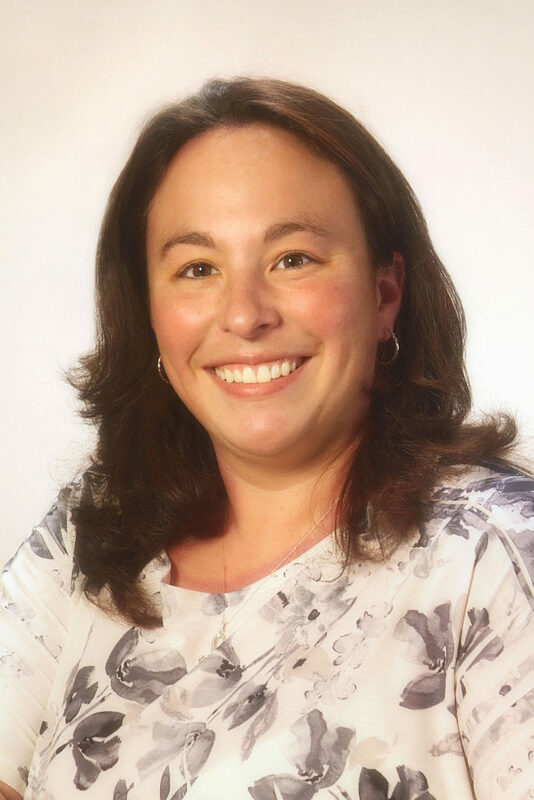 Pittsfield — Eleanore Velez, coordinator of the Multicultural Center at Berkshire Community College, has been recognized by Amplify Latinx as a 2019 Latina Leader. In celebration of Women’s History Month, Amplify Latinx launched a campaign to identify 11 outstanding Latina Leaders who exemplify the best in their professions. Amplify Latinx received 45 nominations from corporate, civic, nonprofit, political and entrepreneurship sectors in Massachusetts. Velez was one of 11 Latina leaders honored at a March 29 event. Velez is a diversity and inclusion champion who believes in the transformative power of education and genuine human interactions. At BCC, she has assumed a leadership role in fostering a welcoming and engaging campus for students from ethnically and culturally diverse backgrounds. Through the years she has been a liaison and advocate with community agencies enhancing the dialogue that leads to deeper community integration. 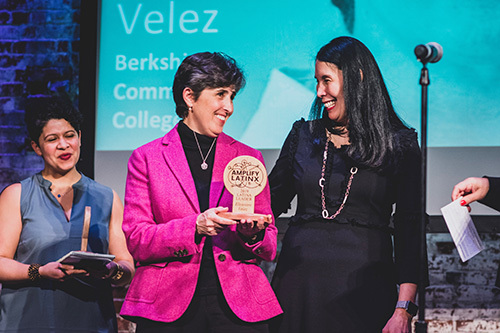 Velez has received the Literacy Network of South Berkshire Founders of America Award, the Berkshire Immigrant Center’s Jane Addams Spirit Award and the Multicultural Competence Award from Multicultural BRIDGE. 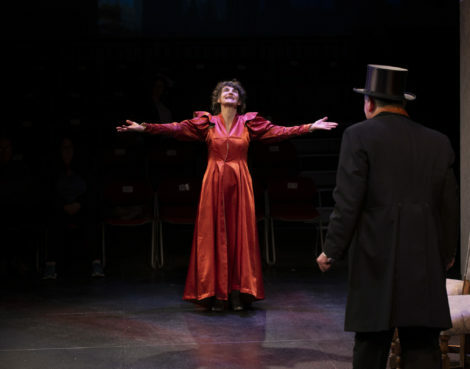 She is a board member of Barrington Stage Company and a member of the Four Freedoms Coalition. 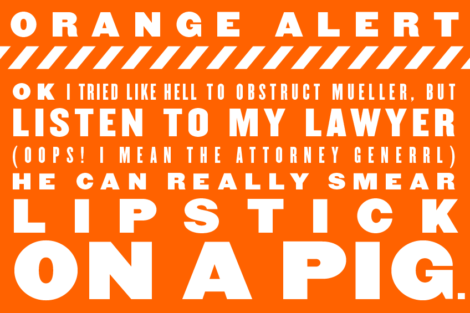 Velez was born in Mexico and lives in Lee. 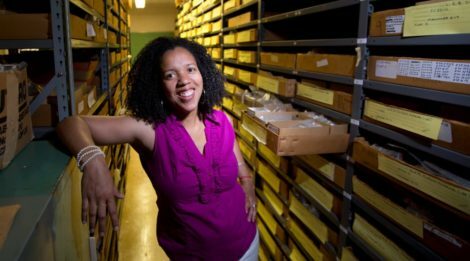 She holds an associate degree from BCC and a bachelor’s degree from Mount Holyoke College. Sheffield — Oldtone Productions, the producer of the Oldtone Roots Music Festival and the Northeast Fiddlers’ Convention, received local Massachusetts Cultural Council grants from towns of Sheffield, Alford-Egremont, Monterey and Mount Washington for its concerts and dances at Dewey Hall. In 2016, the producers of Oldtone began holding concerts with roots performers at Dewey Hall and, in 2017, added community swing dances to mix, with instructors and live music at each event. In 2019, Oldtone will bring over a dozen bands/performers to the hall for at least 16 events. Dewey Hall has been being used for community music and social gatherings since it was built in 1887 in honor of Unitarian and freethinker Orville Dewey. Oldtone will produce a swing dance on the third Friday of each month in 2019. In addition, Oldtone will bring Jerron “Blind Boy” Paxton and Dennis Lichtman to Dewey Hall Friday, May 3; Cedric Watson Saturday, Nov. 9; and Tony Trischka Thursday, Dec. 12. Dalton — Berkshire Money Management has welcomed Jamie Smith to its team. Smith is the firm’s new client success coordinator and the first point of contact for all visitors and callers to BMM. She will also be responsible for all accounting operations, client onboarding, scheduling and all other client service needs. Prior to joining BMM, Smith was an executive assistant at Atlas Private Wealth Management in North Adams for nearly six years. She earned her Bachelor of Arts from Massachusetts College of Liberal Arts with a concentration in accounting and a minor in mathematics. She also attended the College for Financial Planning and earned her designation as a financial paraplanner qualified professional. As a result of growing up in a military family, Smith lived in a number of states, graduating from high school in Ohio. She returned to the Berkshires, where her family is originally from, to attend college. She now lives in Adams with her husband, daughter and cat.